Ever since the Star Wars franchise was sold to the Walt Disney company, the fan base has excitedly looked forward to what the new guardians would do with this universe. More movies were promised, and not just in the main story arc. Episode 7 came out last year with music by the resident composer of the Star Wars movies: John Williams. Apart from new stories in the original story arc, Disney will also make other movies in the Star Wars universe. Rogue One is the first of those and takes place just before the original Star Wars. John Williams would not compose for these movies. That honor would be going to Alexandre Desplat. At a meet and greet with Desplat at the Krakow film music festival in 2016 he was asked if he had started composing for the movie. His answer was short and to the point: “No”. Later it became clear why. 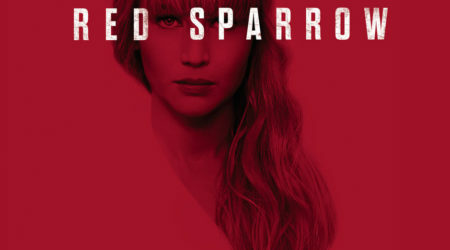 Apparently, some scenes of the movie were to be reshot, making it impossible for Desplat to write music for this movie. 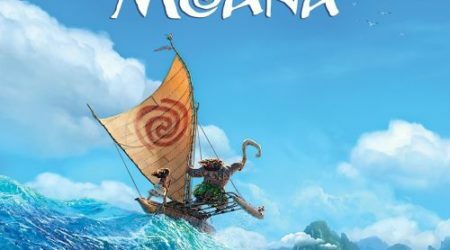 Michael Giacchino had to step in at the last minute and write the score in four and a half weeks. Both the movie and the soundtrack start with a bang and then continue with a newly written theme by Giacchino. To my surprise, this movie does not start with the iconic opening crawl I was expecting. This would have been a great opportunity to see how the music of Williams would fade into the music of Giacchino. Overall the score consists of beautiful melodies with effects mostly played by brass instruments. In other words, music that you would expect in a Star Wars movie. It is nice to hear that the music is only done by a symphony orchestra with an occasional choir near the end of the movie. Here and there you can notice a nod to the original Star Wars themes. Delving deeper into the score, Wobani Imperial Labor Camp is a short track that begins quietly with just a horn solo, after which the full orchestra joins in. The track Truth Goes Both Ways starts very strongly and has a nice variation of the Force theme in it from the original trilogy. In When Has Become Now the “dark side” theme gets a nice exposure. Obviously, this is a march as it should be in a Star Wars movie. Jedha City Ambush shows very nicely how an action scene can still sound very melodic. Star-Dust is a rare treat: a very simple and beautiful piano piece played among all violence typical of Star Wars music. The piano is an instrument rarely used in this score, adding an extra dimension to this piece. Confrontation on Eadu is the longest track on the score. It starts very slow but halfway the track it gathers pace with a tight rhythm. Towards the end nice long emotional lines sweep into a grand finale. Next up is the dark track Krennic’s Aspirations. The music makes it very clear that the dark side of the force is involved in this scene. John Williams’ theme is incorporated here very nicely. The track Rogue One is a good example of how Giacchino writes his Star Wars music: the theme sounds very familiar, yet still slightly different. The two tracks The Master Switch and Your Father Would Be Proud are played during very emotional moments in the movie. To give it even more emotion a choir was added for the final touch. Hope is the last track of the movie before the finale theme, a classic by John Williams, starts. Sadly, this is not found on the soundtrack. The title would suggest that it is a “All is well that ends well” moment, but the track just sounds very dark and smells of death and destruction which fits very well with the accompanying scene in the movie. 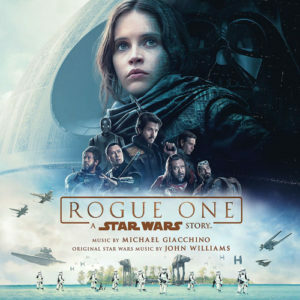 The soundtrack ends with three suites that Giacchino wrote for the movie: Jyn Erso & Hope Suite, The Imperial Suite and Guardians of the Whills Suite. All three are fantastic and I can not wait to hear them performed live. All in all, I am very happy with what Giacchino has written in such a short time. 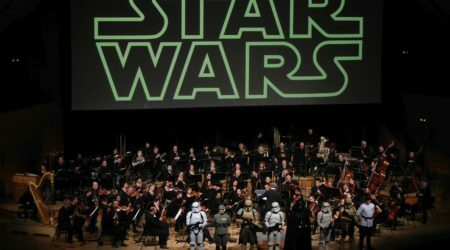 Of course, the big question is: can the score compete with a Star Wars scored by John Williams? Sadly I have to say: No. This is not because this is not a good score but because John Williams is a level above everyone else. The emotions that I feel when an Imperial March, Across the Stars and many other themes of a Star Wars movie is almost impossible to match. What Giacchino has written is good for the limited time that he had and I am actually very curious about what he could have written, given sufficient time. Having said that, I would also love to hear what Alexandre Desplat would have done. The highlights are in bold. A good Soundtrack to start your Page on. Are you planning on writing about older Soundtracks as well, or will you be doing “new stuff” from here on out? I personally like the Rogue One Soundtrack better than the Force Awakens score. But I do concur in that it could have been better at some places. You can feel Giacchinos lack of composing time in some of the “darker” titles imho. ..and before I forget. If you feel strongly about a soundtrack. You can write a reviews for it yourself! That is the idea with this site!